I am a retired zoologist and vegan with a concern for the planet. I studied Biology at Queen Mary, University of London and completed my doctorate at Royal Holloway, University of London. After ten years of post-doctoral research into bone metabolism I joined the pharmaceutical industry, culminating in becoming Director of the Division of Clinical Trials and Associate Professor of Medicine at Mount Sinai School of Medicine in New York. Dis-satisfied with the rat race which is corporate America, I moved to Scotland and thanks to my daughter’s creativity, founded Highland Titles as our response to the destruction of the Caledonian forest. It may not be the whole solution, but we should all do what we can. In 2006, for family reasons, I moved to the Bailiwick of Guernsey, a crown dependency in the English Channel. My family are Guernseymen. My 12th Great Grandfather was Raulin Falla (1475-1525) and I was needed back home. But my heart is still in the highlands and Highland Titles continues to work exclusively in Scotland whilst having offices in the Bailiwick. My wife, Helen, is a barrister and retired senior Crown Prosecutor. 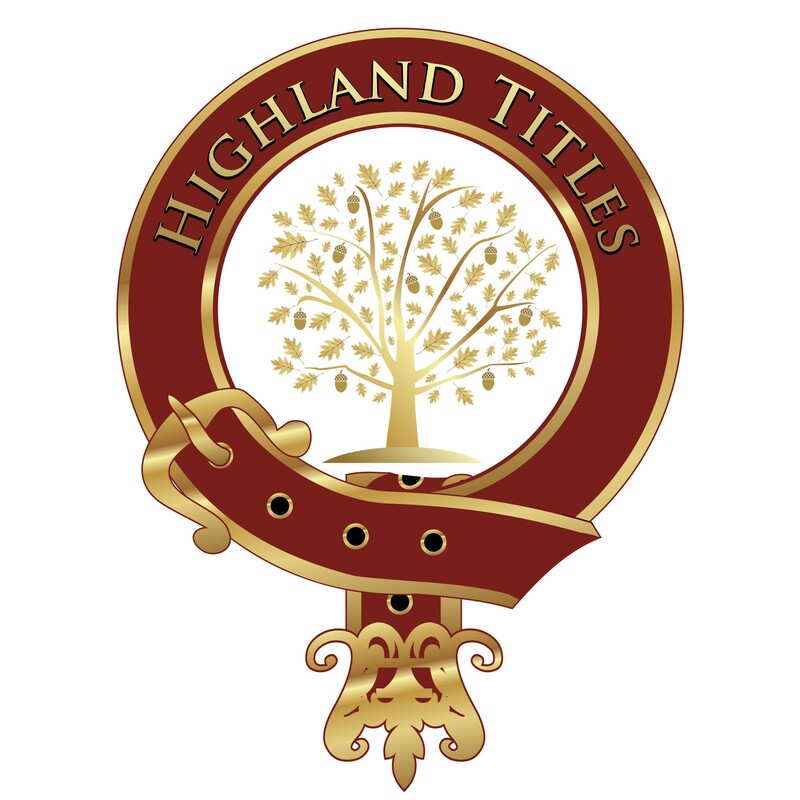 Both my children work for Highland Titles and live in the Bailiwick. We are all thrilled, more than ten years after starting Highland Titles with nothing but optimism, to have shared our passion for Scotland with over 250,000 people all over the world. This year, our new website was translated into twelve different languages, reflecting sales in over 100 countries. Our buckler logo reflects the hope that great oaks will grow from tiny acorns; indeed they already have. I welcome comments on all my posts; including suggestions for how we could do better. Encouragement or criticism, all opinions are welcome. But please keep all comments courteous and relevant. Your story inspired me, and your work has introduced me to the true Scottish wildcat, sadly our most critically endangered mammal. This cat is elusive and inspiring and I am so glad you have put your very significant weight behind saving it.